Whether you own a simple Parker Pen or a fabulous Caran d’Ache, the truth is that no matter how expensive your pen is, you are still going to have to maintain it to ensure its quality. If you use your pen on a day-to-day basis, flushing the system at least once a month could well save your pen a trip to a specialist. To do this, you can simply flush the ink through with one part ammonia and two parts water. Repeat the process three our four times to ensure a clean flush. By doing this, you can avoid the most common clogging problems. Bear in mind however, if your pen is particularly old, it is important that you only use water, as ammonia can eat through the aluminium. If your pen uses cartridges, it is important that you clean your pen regularly, and it is very important that you never put your pen away for a long period of time with ink in the cartridge. If your pen has any silver parts, it is recommended that you use a special cloth for cleaning as silver can actually develop oxidation marks if the metal is in contact with leather or rubber. Also, pink gold has a tendency to change colour with age. You can however regain its original colour by using a specially designed cloth. 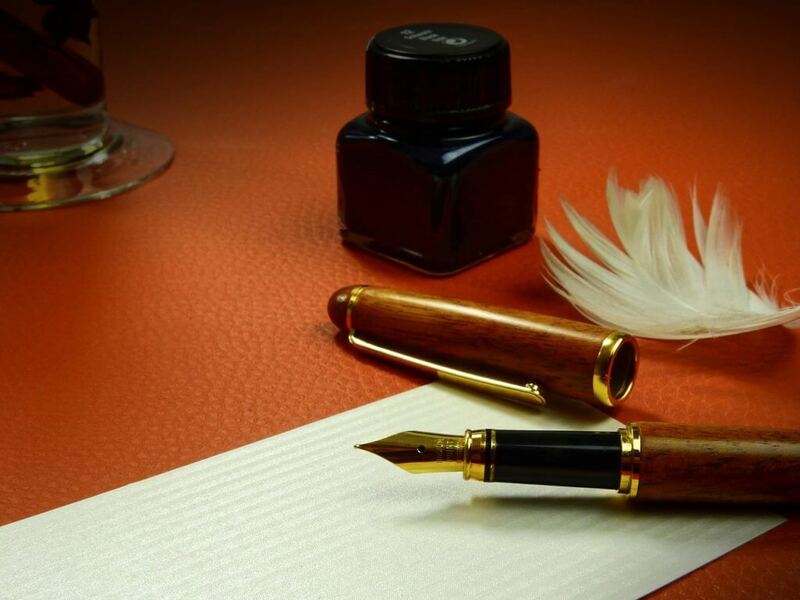 As a fountain pen is unlike any other writing tool, it is important that you take special precautions so that your pen is working at its finest every single time. When you have used your pen, ensure that you close the cap of your pen to ensure that the ink does not dry. It is also important that your pen is used on a regular basis so that the ink does not dry. If you only use it occasionally, the process of cleaning and changing the ink will become increasingly frustrating. If you are travelling with your pen on a plane, it is important that you change the cartridge of the pen so that it is full before you leave. To avoid any leakages, carry the pen with the nib facing upwards so that you can avoid any leakages on your person. At all costs, try and avoid the pen being exposed to heat or extended periods in direct sunlight. If you happen to lose a particular part of your pen, The Pen Company also offers a range of spare parts including converters, caps, grips and clips, so that you can continue to enjoy your pen in the event of losing or breaking a small part of it.